It seems as if promise rings have been all over the Internet these days. With that said, you might be asking yourself what a promise ring is exactly and why people have been talking about them. Ultimately, a promise ring might be an entirely new concept for you, but these types of rings have been there to symbolize promises since ancient times. Here, we’ll tackle what promise rings are and their significance in your life. To some people, promise rings aren’t necessary. However, for others, they are a token of commitment between two people. It’s a symbol of a special connection that you’re devoting yourselves to each other. It can be a sign of your pledge that you’ll be there for each other always, be faithful to each other, and make sacrifices for the benefit of your relationship. 1. Solitaire rings – Made up of a hoop and gemstone, these rings are supreme and elegant. You can have these with a few cuts of gold, platinum, sapphire, and even diamonds. 2. Antique promise rings – These are unique rings which are known for their excellent craftsmanship. They are less costly compared to modern types of promise rings. 3. Trinity ring – These consist of three stones which symbolize the past, present, and future of the lovebirds. Diamond is ideal for this type of ring and it is generally thought that the trinity has the power to bind the couple together forever. 4. Ring with side stones – Crafted with stones, this ring has a central attraction in the middle. For crafting, a diamond is a preferred gemstone. 5. Tension rings – Being a perfect combination of gemology and material science, these rings have a band that provides holding support for the gemstone. What’s the Significance of Promise Rings? While some people find promise rings unnecessary, others consider them as an essential devotion of commitment to their relationship. Typically, there are various meanings given to these rings. Whatever the rings mean to you is all that matters; however, here’s what promise rings mean to many couples. 1. Abstinence – For romantic couples like you and your partner, a promise ring might act as a physical pledge to save yourself for marriage. It’s a sign of sexual abstinence in a relationship before marriage. That’s the reason why they’re also called purity rings, especially when given by a mother or father to a child as a physical sign of a promise to remain celibate until marriage. 2. Friendship – A promise ring can also be a symbol of a good friendship. If you have a really close friend, this can serve as a commitment that you’ll always be there for one another no matter what happens. 3. Monogamy – If you’re in a relationship, this ring can be exchanged to symbolize a mutual commitment to remain monogamous. 4. 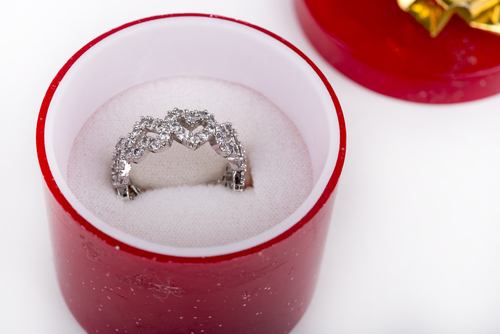 Pre-engagement – This is the most common meaning of a promise ring. If you have a romantic partner, you can give a promise ring to commit yourself to the relationship that is headed toward engagement. If you feel your partner is the right person for you but you’re not yet ready prepared for marriage, you can give a promise ring as a physical commitment of your love to them. So, while there are things to think about before getting engaged, you can take that first step with a promise ring. 5. Religion – A promise ring also has a strong connection with religion. For instance, nuns wear rings as a symbol of the promise to their heavenly spouse. 6. Promise to yourself – You don’t need a partner or a significant other to wear a promise ring. That’s because it can be used as a promise for yourself to remain strong and committed in life. It can also be a reminder that you should stay away from negativities, maintain a positive attitude in the midst of adversity, and more importantly, to be true to yourself. A promise ring has various meanings depending on what kind of relationship you have with someone else as well as with yourself. 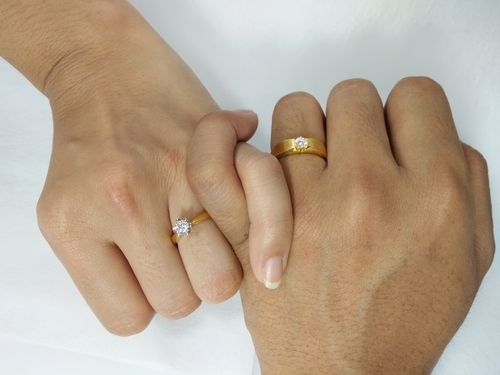 We hope you find this article useful when it comes to what you should do if you want to express a symbolic promise to your loved one with these beautiful and good promise rings.